There is a road that runs from the gate to the east side of the cemetery and on into the woods. Another road circles the cemetery. A double gate is on the north side of the cemetery and a single gate in on the south side. The gates are kept locked. The bike trail along Spring Creek does not affect this cemetery. 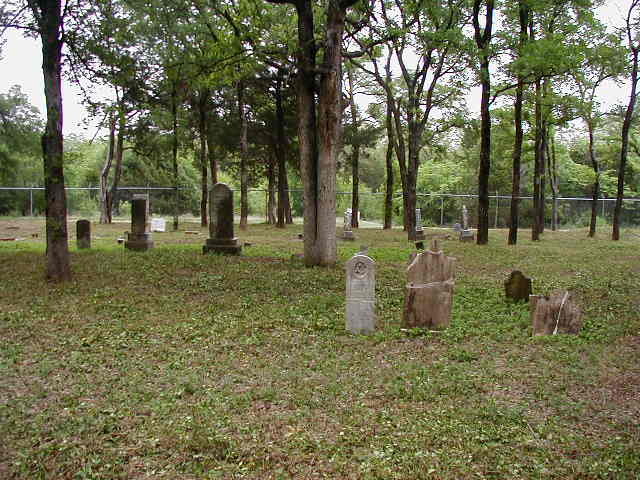 This cemetery is one of the oldest ones in Collin County. Some claim it is the oldest cemetery, because of graves that were here before the cemetery was founded. Jacob Routh bought the land in 1852. At that time there were 2 graves here. His mother, Elizabeth, and his only son, John, are buried here. 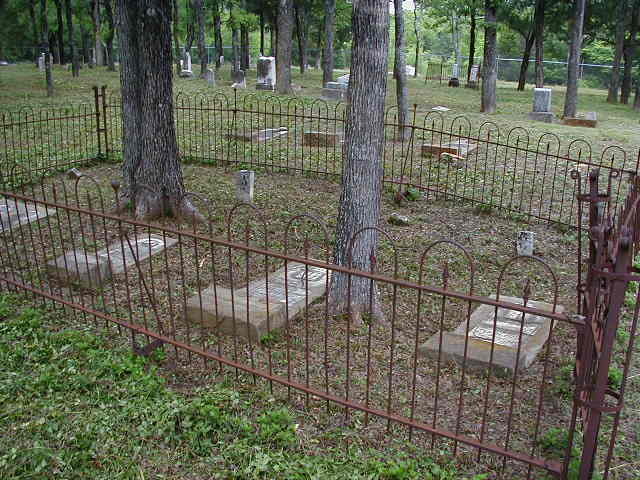 The rest of his family are buried in the Routh Family Cemetery about ¼ mile northwest. Jacob Routh was an early Baptist preacher in the area. He was pastor of Spring Creek Baptist church, which was on the same property but further east near Plano Road. Spring Creek Baptist Church became First Baptist Church of Plano. Plano Road was once a stagecoach run, as was Renner Road. The creek that runs through the property is Spring Creek. Many area pioneers are buried here. One of the relatives is trying to get a historical marker for the cemetery. An unknown soldier was very rude to the ladies of McKinney. His commanding officer apologized for him. That night the man was killed between Richardson and Dallas. He is buried in a corner of this cemetery. No one is buried near him. The cemetery is .9 acres and has approximately 200 graves, about 100 unmarked. The deed for this cemetery is listed in Vol 658, p 114. There are provisions for ingress and egress for cleaning purposes. A cemetery association was formed in the 1990s that has cleaned the cemetery and fixed the stones. A book was published on the families on the people buried in the cemetery. The directions to the cemetery might change with development of the area. THE ORIGINAL LAND GRANT THAT ENCOMPASSED THIS SITE. STORE IN ADDITION TO THE FAMILY CEMETERY. AND WAS THE FIRST FAMILY MEMBER TO BE INTERRED HERE.